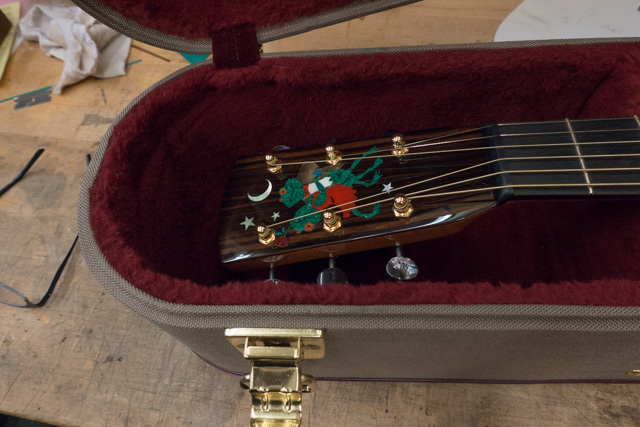 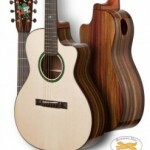 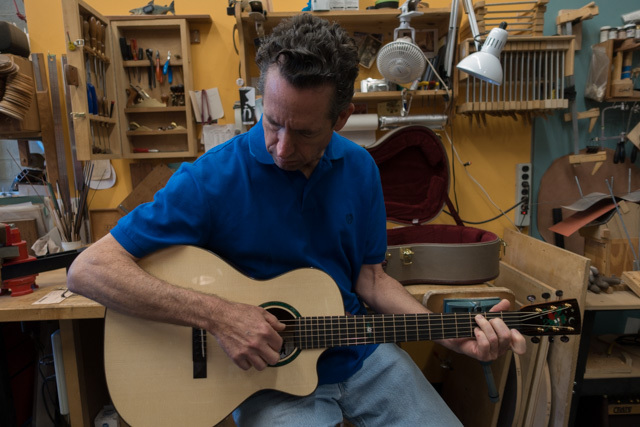 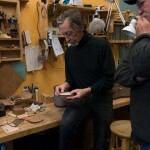 Whenever we travel, tops on our list of things to do it to visit luthiers. 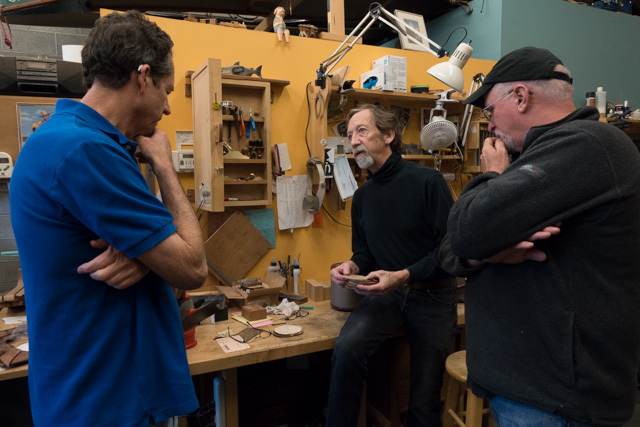 The Pacific Northwest has its share of very talented luthiers and it was our pleasure to visit Rick Davis and Cat Fox while in Seattle. 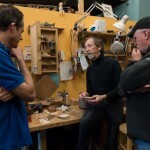 They both graciously open their doors and took time out of very busy schedules to chat for a bit. 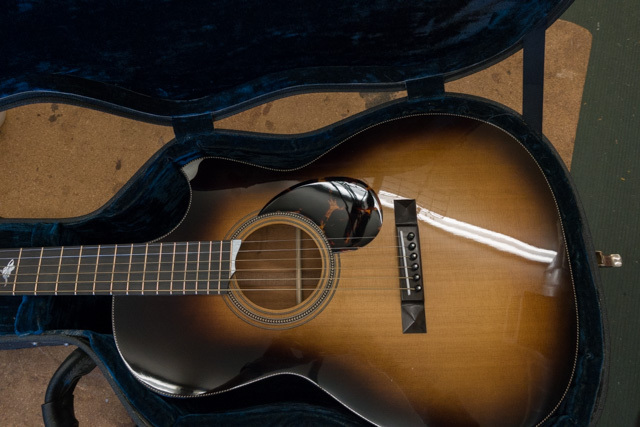 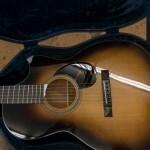 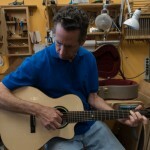 The exchanges that happen – luthier to luthier are always a gift! 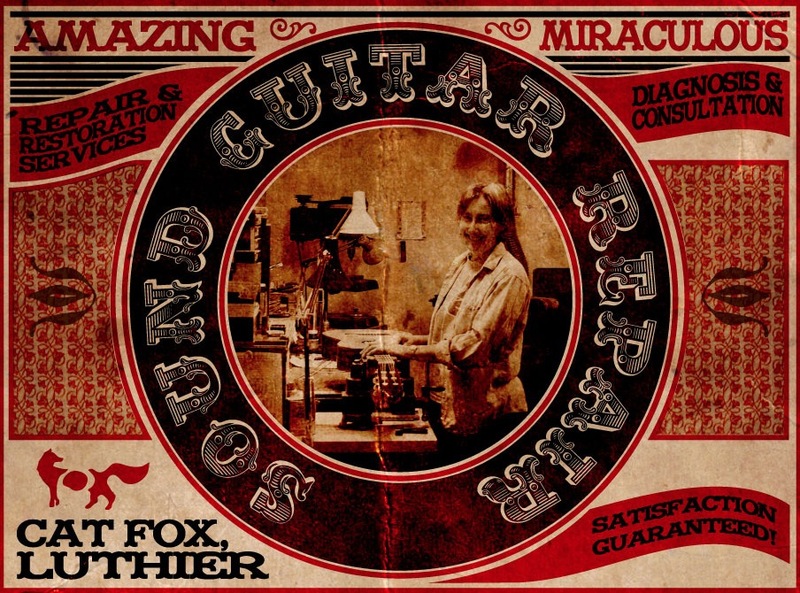 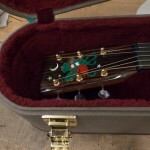 Cat, of Sound Guitar Repair, is renowned for her restoration and repair work. 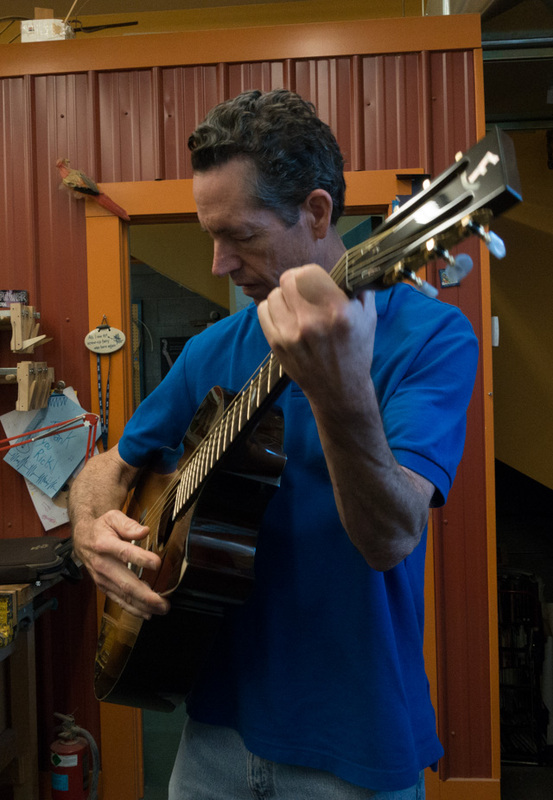 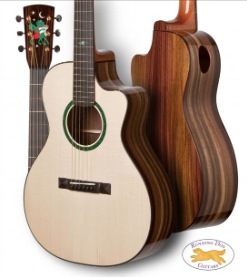 Rick Davis has been crafting Running Dog guitars since 1992, completing more than 225 guitars. 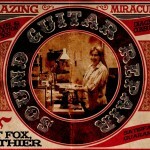 Learn more about Cat at Sound Guitar Repair. 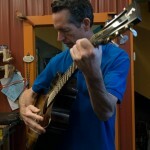 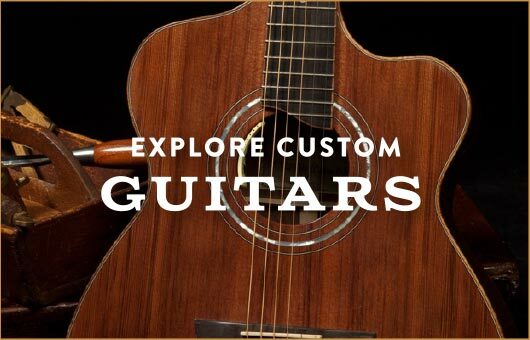 Learn more about Rick at Running Dog Guitars. 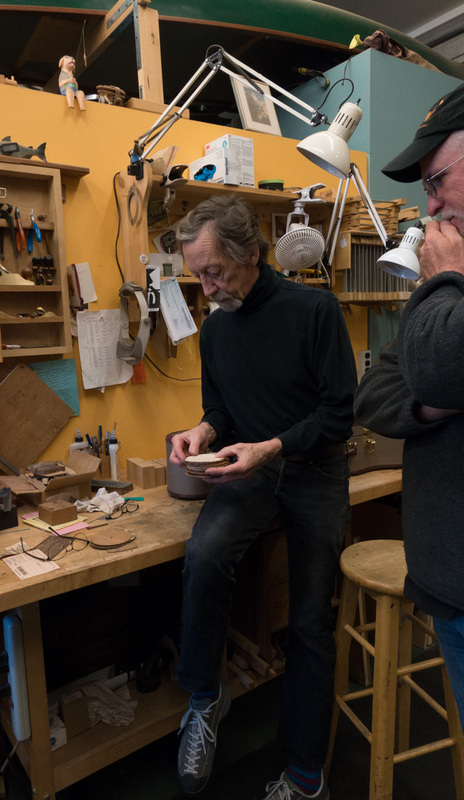 If you find yourself in our neck of the woods we invite you to come by our luthier shop for a visit (by appointment only please).